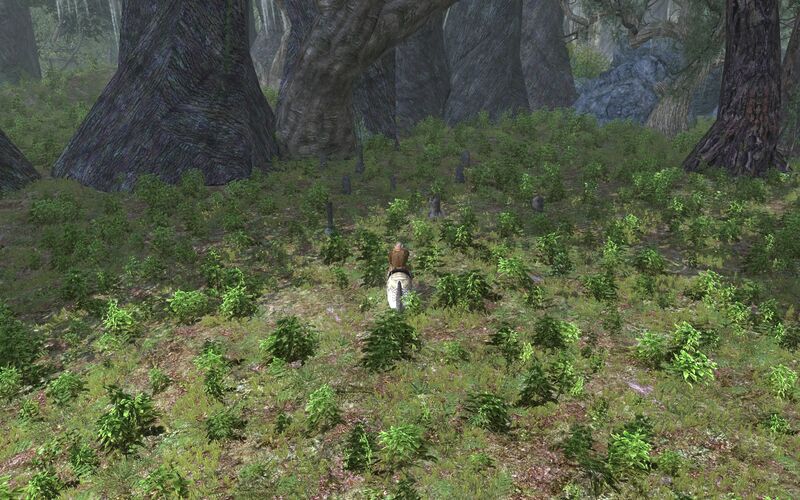 As for the swamp next to Old Forest, it remains untouched. Thanks, at least it is still there (but for how long...). Southern Ered Luin from above. The lanscape changes are very striking from this perspective. All these landscape changes to parts outside of where players are supposed to be makes me think they're getting areas nearby ready, and need to alter the edges so that they blend together. Especially since the coast part was altered, where the Grey Havens should be. I think that's a hint they're getting ready for the time when the Ringbearers set sail. Off the map in The North Downs, Found a hobbit with Squirrels dancing around him. (Hidden wall couldn't get closer). I have wandered off the Map west of Eryn Lasgalen to the Beorning lands saw the carrack untill i hit Wolf-Denes the area is massive you can go far beyond of the map.